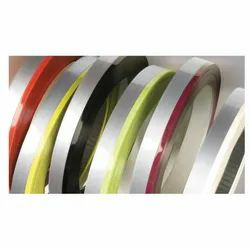 Leading Manufacturer of e3 edge banding tape, pvc edge band tape, high gloss pvc edge band, solid colour pvc edge banding, 25 m edge band tape and 50 m pvc edge band tape from Ahmedabad. With enriched industrial experience and knowledge, we are providing an excellent range of E3 Edge Banding Tape. With enriched industrial experience and knowledge, we are providing an excellent range of PVC Edge Band Tape. We are successfully meeting the requirements of our clients by manufacturing the best quality range of High Gloss PVC Edge Band. PVC itself is a very strange material that stands the risk of reacting over time. If not well examined or made with proper ingredients, it can shrink or expand. This is a risk that our customers should never expect when using our products. Furthermore, we use UV printing and UV lacquering system and thus the finished product contains no solvent. Furthermore, our product contains no lead. Our PVC edgebandings are accurately in matched with the panel surfaces which are crucial features in the furniture making industry today. Further to that, they are consistent in thickness and color. 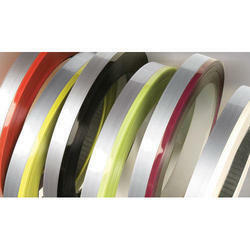 With enriched industrial experience and knowledge, we are providing an excellent range of 25 M Edge Band Tape. With enriched industrial experience and knowledge, we are providing an excellent range of 50 m PVC Edge Band Tape. 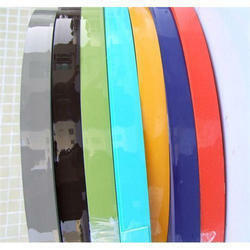 With enriched industrial experience and knowledge, we are providing an excellent range of Gloss Edge Banding Tape. 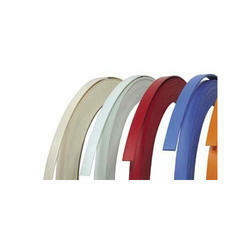 With enriched industrial experience and knowledge, we are providing an excellent range of High Finish PVC Edge Band. With enriched industrial experience and knowledge, we are providing an excellent range of Liping Tape.